WILLEMSTAD - Next week, a group of 6 students from the General Faculty and the Faculty of Technical Sciences will go to Belgium, Spain and Italy for an internship and exchange at the Artevelde Hogeschool. 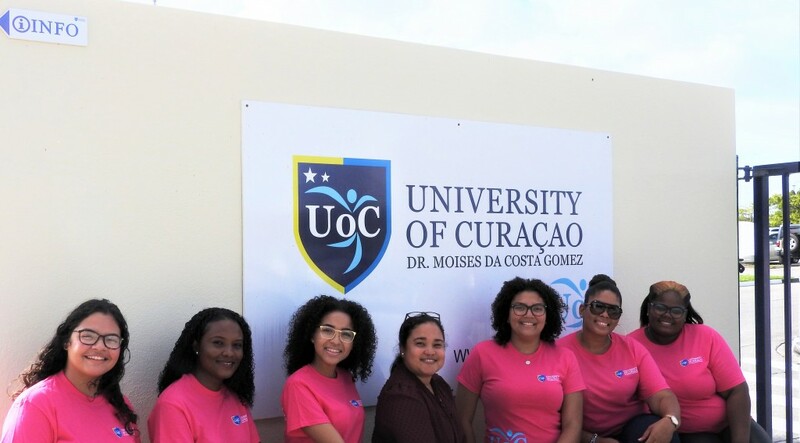 Thanks to the Erasmus + program, students from the University of Curaçao can Moises da Costa Gomez (UoC) qualify for a scholarship that makes it possible to do an internship or exchange of a semester in Europe. This allows Dayanara Maria, Lizienne Maldonado, Melissa Bergland and Naïra de Windt to travel to Ghent, Belgium, for an exchange at Artevelde Hogeschool. Dijonalis Harris goes to Barcelona, Spain, for an internship and Emily Fischer leaves for L 'Aquila, Italy, for an internship. Photo: The group of students who will depart next week together with Mrs. Elica Ras-Fullinck of the International Office of the UoC.